Enjoy a pint of the award winning Kinver Beer at the Leicester Beer Festival from Wednesday 20th March to Saturday 23rd March 2013. Hop in to sample four Kinver beers including the award winning Over The Edge and two specials brews recognising the crushing death, and recent discovery of the skull and bones of King Richard III in Leicester. 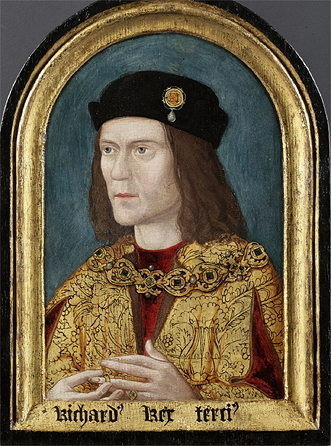 In the reign of King Richard III from 1483 until his death in 1485 near Leicester, an unhopped beer would have been known as an ale, whilst the use of hops would make it a beer. Hopped beer was imported to England from the Netherlands at the start of the 15th century, but hops were being planted in England from around 1428 allowing English brewers to counter the threat posed by imported beer from Europe without having to import hops to meet the demand. The popularity of hops was at first mixed—the Worshipful Company of Brewers declared "no hops, herbs, or other like thing be put into any ale or liquore wherof ale shall be made—but only liquor (water), malt, and yeast." However, by the 16th century, "ale" had come to be the term referring to any strong beer, and all ales and beers were hopped. The importance of English hops for beer making had been firmly established by Tudor times, and Kinver Brewery continues the tradition of brewing hopped beer today.